The priest meets Balda for the first time at the market. 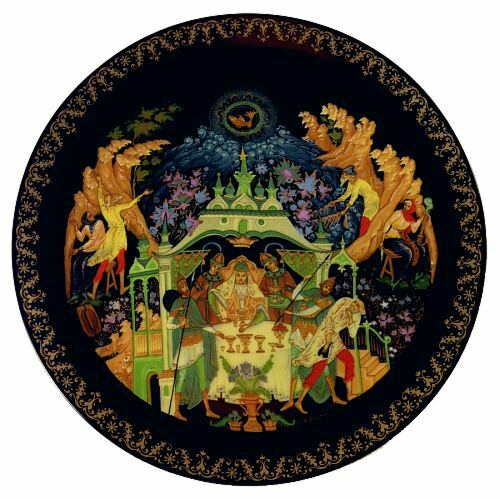 This collectible plate is based on a lacquer miniature by Palekh artist Oleg An. The plate is in excellent condition and comes with original documents and box.